Do you know this man? If you're not familiar with Korean traditional music then you most likely haven't seen him before. If you read The Korea Times you might have seen his picture in the paper this week or caught something about him on the tv news. His name was 이은관 (Lee Eun-gwan) and he passed away on Wednesday 12th March 2014 at the age of 97. Apart from a couple of brief mentions in the aforementioned newspaper, hardly anyone in the English speaking world seems to be talking about his death and it feels like something needs to be said, a moment needs to be taken to recognise his contributions to Korea and to Korean music. 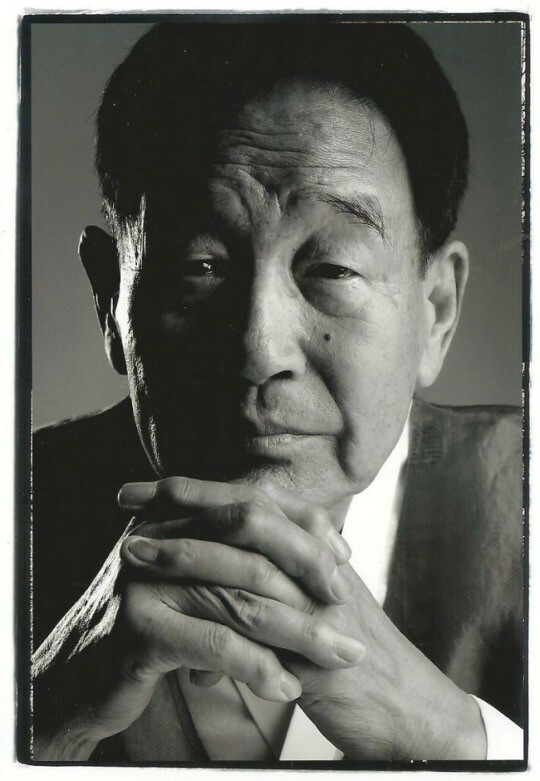 Lee Eun-gwan was born on the 27th November 1917 in Icheon-gun in Gangwon Province. He spent most of his youth in Cheolwon-gun, Gangwon Province. His training in traditional music began by focusing on 서도소리 (Seodosori), folk songs from the Seodo region (the Pyeongan and Hwanghae provinces now located in North Korea), before specialising in 배뱅이굿 (Baebengigut) an hour long story song performance. He started performing Baebaengigut at the age of 17 and spent the next eighty years of his life dedicated to that song. He sang other ditties during that time, but he was known for and celebrated for his interpretation of this traditional work. The story told is that of a minister Choe, a former shaman, and his wife, who after a long time of prayer finally becomes pregnant. The child, a girl, grows up quickly but when she is in her teens she falls in love with a monk who comes to her house to beg for food. After hiding him (and making love to him) in her bedroom for days, the monk leaves her to return to his temple. Because he doesn¡¯t come back like he promises, the girl falls ill and dies. Devastated, her parents decide to organize a contest and award all their possessions to the shaman who can help them speak to the spirit of their girl in the afterworld. A poor vagabond hears of the contest and decides to pretend he is a shaman. Shamans from all provinces of Korea come to perform for the parents, but they all fail to convince. Using his great wit, the libertine manages to pass the tests and deceive both the parents and the crowd to win the award. This is a recording of Lee Eun-gwan (at the age of 77) singing Baebaengigut back in 1994. It's almost an hour long and probably only the most dedicated fans of Korean traditional music would take the time to listen to the whole thing, but I urge you to take a couple of minutes, listen to a few sections, try and get the feel for the piece. It's an astonishing feat - one man accompanied by a gong and a drum, telling the same story he has told year after year, decade after decade. A life dedicated to Baebaengigut, a commitment to one particular performance. He may have had dalliances with other songs, but throughout his whole life he always remained faithful to this work, coming back again and again to this tragic tale of ill-fated love and deception. Eighty years dedicated to one song. Back in his younger days he was a movie star and could draw in the crowds. If you watch this video clip from the 55 second mark (though if you watch form the start you'll get to see Lisa Kelly in Korean language news presenter mode) you'll see a brief glimpse of him about to perform to a sea of faces all eager to hear him sing. Below is the poster for his big movie from 1957 - Baebaengigut. I wish I had got to see him perform Baebaengigut live, but that chance is gone and it's a firm reminder that I need to get my act together, get to the theatre or the madang more often and celebrate this kind of performer while they are still around to hear the applause. I urge you to do the same. All we have left of Lee Eun-gwan are the audio and video recordings scattered across the internet or in the homes of collectors. His eighty years of song may be silenced, but the echoes of the past will remain for much much longer and I hope others unfamiliar with Baebaengigut will come to appreciate it in the future.